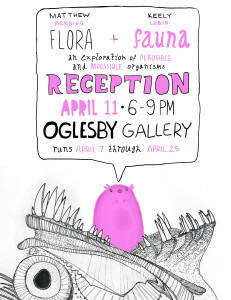 Visit the Oglesby Gallery on April 11th from 6-9 for an exhibition you won’t soon forget. 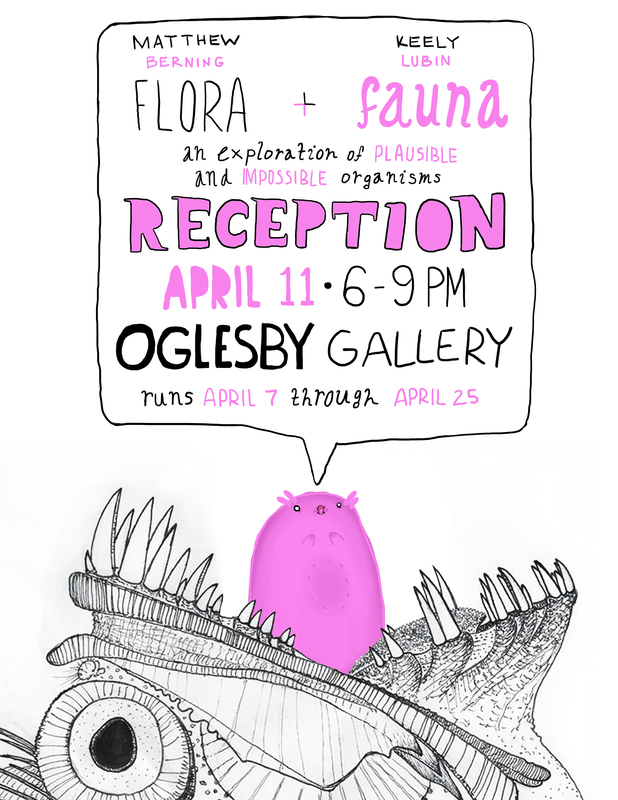 The product of a pop-surrealist (Keely Lubin) and invertebrate marine biologist (Matthew Berning), Flora & Fauna seeks to explore the universal psychological and physiological truths of all organisms, even the ones that don’t exist (yet). You won’t want to miss it!